The earlier your child starts practicing the art of maintaining balance, the better it is for his/her growth. Here are some tips to improve balance and coordination for children in their growing age. If your child is in growing age and falls or loses balance too often, then you must work towards improving it. Being able to maintain balance is important for children as it helps in carrying out day-to-day activities with ease. Balance is defined as your ability to carry out tasks while maintaining a controlled body position. According to Rujuta Diwekar, balance and coordination are an integral part of a child's life as it ensures healthy general motor skills in them. It can help children learn the art of moving in the spaces they are in and how to maintain their body balance in those spaces. Physical balance and coordination can also help in boosting child's confidence and improve posture. In a video shared on Instagram and Facebook, Rujuta mentions that balance and coordination in children can be improved by making them do cycling, skipping rope, skating, swimming, dancing, yoga postures like back bends, hand stands and inversions and hanging on bars to name a very few. 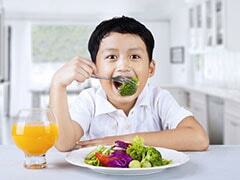 Growing children have different nutritional requirements at every age. Nutritionist Nmami Agarwal gives guidelines in terms of food to help children grow in a healthy way, both physically and mentally. Also read: Did You Know Foul Air Can Affect Your Unborn Child's Heart? Rujuta highlights the fact that maintaining and improving balance is easier when learnt at a young age. However, it does get difficult to learn this skill as you grow older. The earlier your child starts practicing the art of maintaining balance, the better it is for his/her growth. 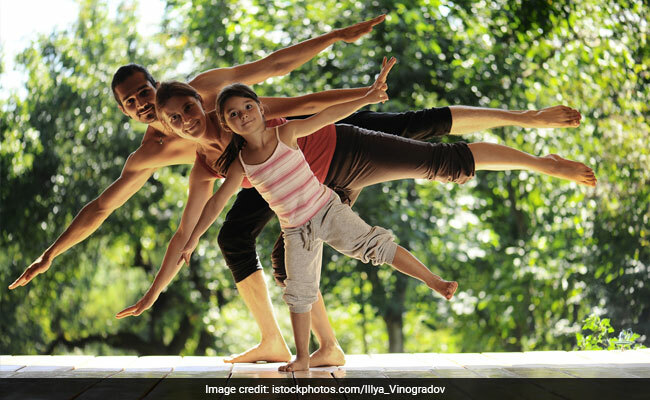 Parents should make sure that their child dedicates at least a couple of hours in a week in balancing activities. It will give them immense sense of power, intelligence and freedom. Apart from improving concentration, balancing activities help in improving alertness. These exercises help in improving muscle strength, flexibility and joint mobility. Children who practice balancing activities learn how to deal with falls. It makes them stronger, both physically and mentally and reduces risks of fractures in the long run. As mentioned earlier, these balancing activities can help improve social interaction of children and make them more confident. How to check balance and coordination? The sit and rising test can help you check about your balance and coordination. See if you can sit on the floor and stand up without bending or taking support from an object or a wall. You have good balance if you are able to do this easily. This sit and rising test is also used a predictor of metabolic health and longevity, says Rujuta. Watch the full video below to see another activity that can tell you and your child about your body balance.